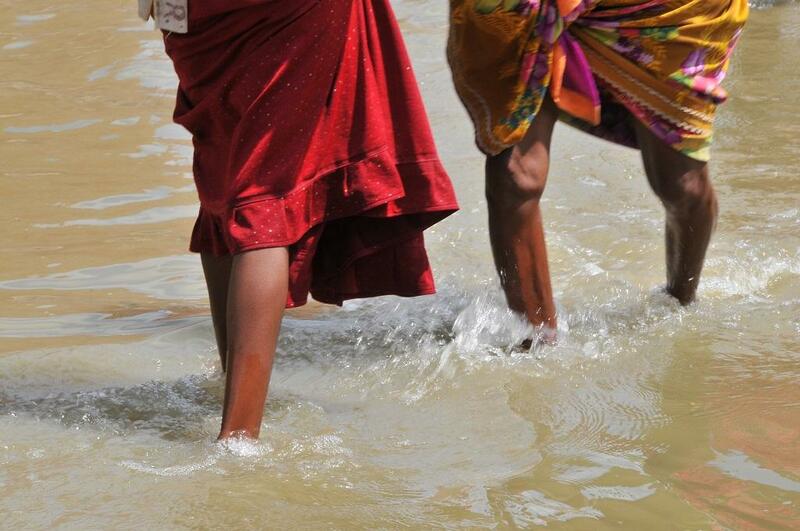 Floods have caused considerable damage across India this season. So much that 91 districts in 12 Indian states have been affected by floods since the beginning of this monsoon. A total of 511 people have lost their lives and 176 people have been injured. Floods have damaged around 55,000 houses with the greatest number being Manipur’s (17,846). People have also lost their means to livelihood as 1,37,008 animals have been affected and crops in an area of 81,147 ha all over the country have been damaged by flood waters. Since India has been home to natural disasters, it’s not the first or the last time the country is facing such loss. The year 1977 saw the greatest loss of human lives due to floods with over 11,000 people dying. This is 10.5 per cent of the total loss of lives in 64 years. The worst affected state in terms of loss of lives has been Karnataka with 128 deaths, while in Maharashtra floods killed 123 people. On the other hand, Assam has seen a huge loss to its animal population with more than 1,30,000 animals being affected by floods, which is 95 per cent of the total across the country. In terms of damage to crops, West Bengal has suffered the most with more than 47,000 ha of its cropping area being inundated by water. Though states like Bihar and Rajasthan have also seen floods, state officials say that no loss and damage has been reported. Many states across India, especially ones in the North East, are witnessing a dangerous trend. This monsoon season (June 1-July 16), many of them have received less rainfall than normal and yet have experienced floods. For example, till July 16, 21 districts across Assam had experienced floods this season, according to the National Disaster Management Authority’s flood situation report. Out of these, the Indian Meteorological Department (IMD) has rainfall data on 16 districts and 14 of these have had less than normal rainfall this season. The highest deficit of rainfall was recorded in Dhemaji district at 90 per cent. Only Jorhat and Chirang have had excess rainfall of 7 per cent and 42 per cent. The major reason for this scenario is the increase in extreme rainfall events and decrease in long-term rainfall in the region. There is a pattern to this now. For elongated periods of time there is none to very less rainfall creating a deficit and then suddenly there is a series of extreme rain events bringing in torrents of rain causing floods. A recent Down to Earth analysis showed that between July 5 and July 11 there was a 25%-69% jump in excess rainfall in at least 28 districts across the country.